Mountain habitats have been classified as particularly sensitive to changes in land use and climate, which are occurring at increasingly high rates. The Tyrolean Alps host a strong tradition of research on a range of ecological processes in mountain environments, and how they are affected by changing environmental conditions. Research topics, partly studied over several decades, include responses of organisms and of biogeochemical processes to extreme life conditions and to global changes in both terrestrial and aquatic ecosystems. Research sites in the Tyrolean Alps span a vast range in altitude (1,000–3,450 m) and climate. For two valleys/valley sections, socio-economic changes have been documented and past, current and possible future landscape changes have been assessed, evaluating also effects on ecosystem services. 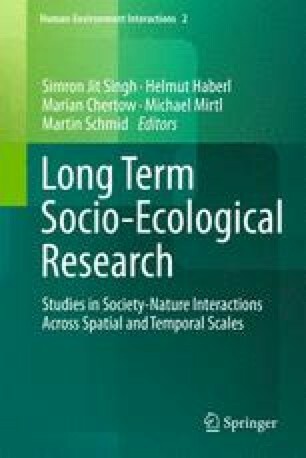 The recent research history at the Tyrolean Alps LTSER Platform has shown that a monitoring of the biogeochemistry of target ecosystems combined with an experimental unravelling of global change effects on processes, and the consideration of socioeconomic developments together constitute a fruitful way forward, increasing the value of LTSER sites also for international projects and networks.